The Murray Law Firm is a workers’ compensation law practice, which protects the rights of injured workers. Our firm represents employees who have been injured while working and are entitled to benefits under the Workers’ Compensation Act. Under the Workers’ Compensation Act, injured employees are typically entitled to compensation for lost wages, medical expenses, and such services as attendant care and professional transportation, if merited. The Act also confers benefits to families for the work-related death of a family member. Family members are entitled to dependency benefits, as well as funeral costs. In some cases, however, injured employees and families do not receive all the benefits to which they are entitled. Employers or their insurers may offer a range of excuses for only paying a partial claim or wholly denying an entire claim altogether. 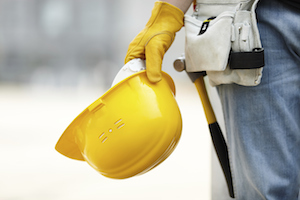 The Murray Law Firm has extensive and successful experience in handling workers’ compensation matters. Our team is dedicated to helping employees obtain the full benefits to which they are entitled under the Workers’ Compensation Act. The Murray Law Firm has recovered millions of dollars for its Clients, and recently obtained a $29.25 million dollar verdict in Georgia. We represent our Clients on a contingency agreement, which generally means that no fees or payments are owed until and unless we recover. Anyone seeking further information or legal representation is encouraged to contact us via e-mail or by telephone at CALL NOW: 404.842.1600. Consultations are free and confidential.